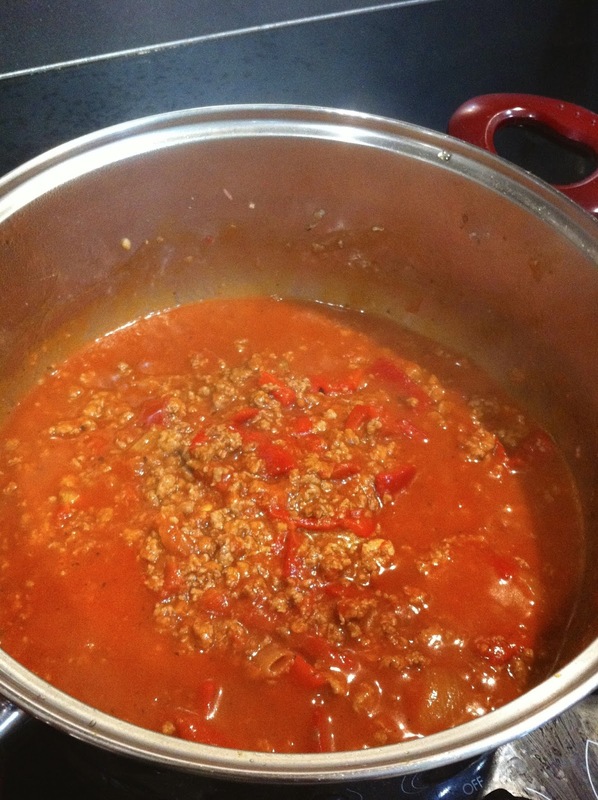 Cooking is a hobby which I love and often use to relax and de-stress. 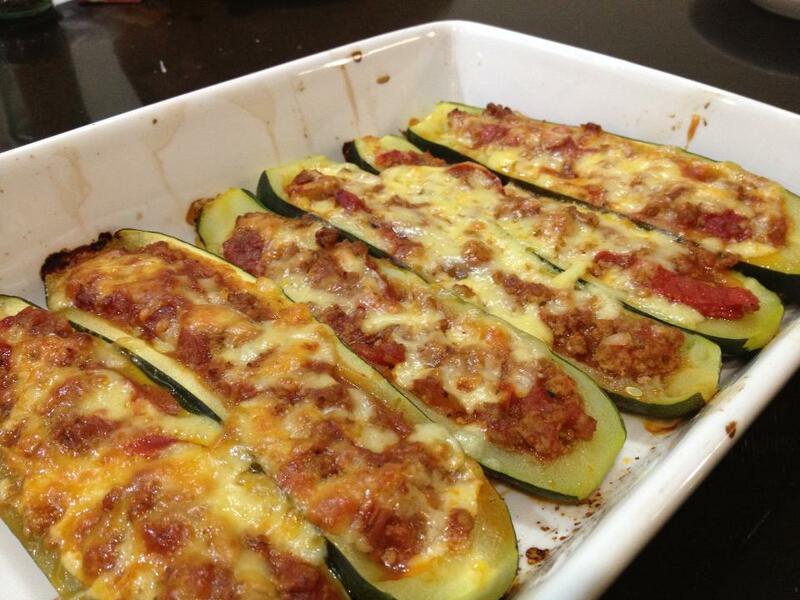 I made dinner on the weekend between my exams and decided to make one of my favourite dishes - baked zucchini boats! This dish was inspired by something I had a few months ago (posted about here). 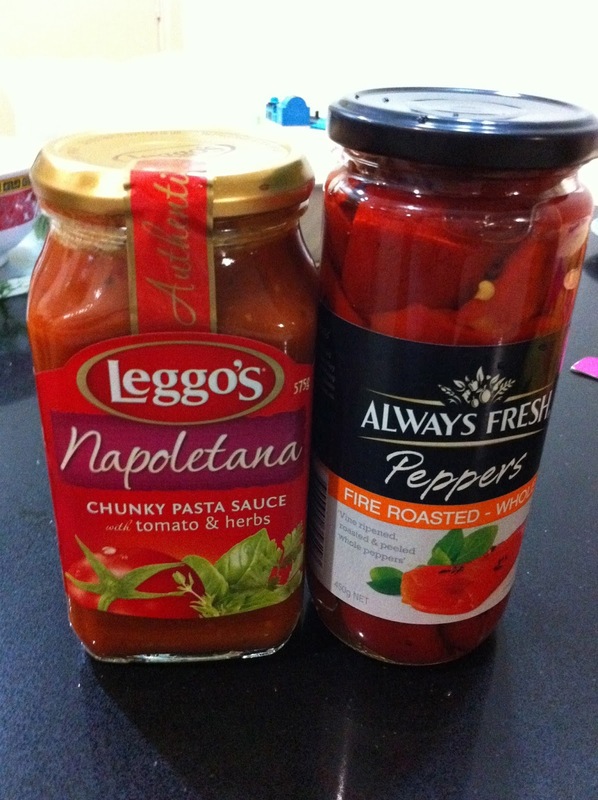 It's very quick and simple, requiring minimal preparation and would be something great to whip up on a week day or night. I improvised this recipe the first time I tried making it and have been adding bits and pieces in along the way as I attempt to make it better! I didn't use kidney beans or as much cheese as the folks at Zootz did. 2. Place a large pot of 2-3L of water to boil. 3. 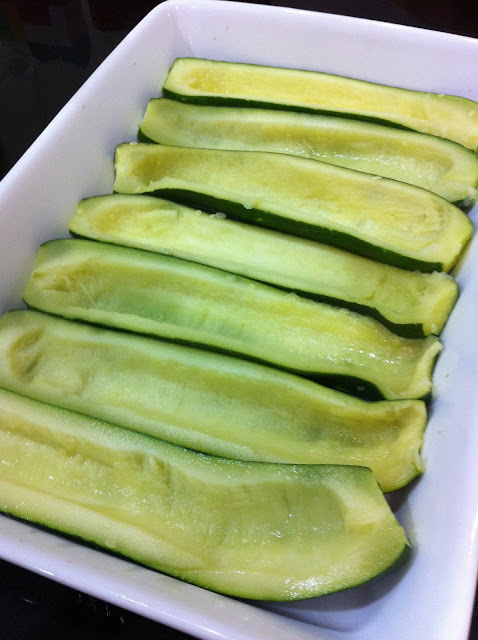 Clean and remove the tops of your zucchinis. 4. Keeping your zucchinis whole, place them into the pot of boiling water and cook for approximately 10-15 minutes. Make sure they're not too soft! 5. 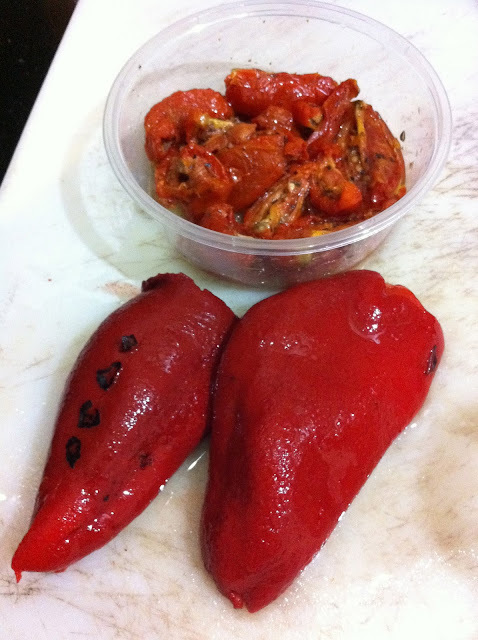 Meanwhile, slice up your sundried tomatoes and red peppers. 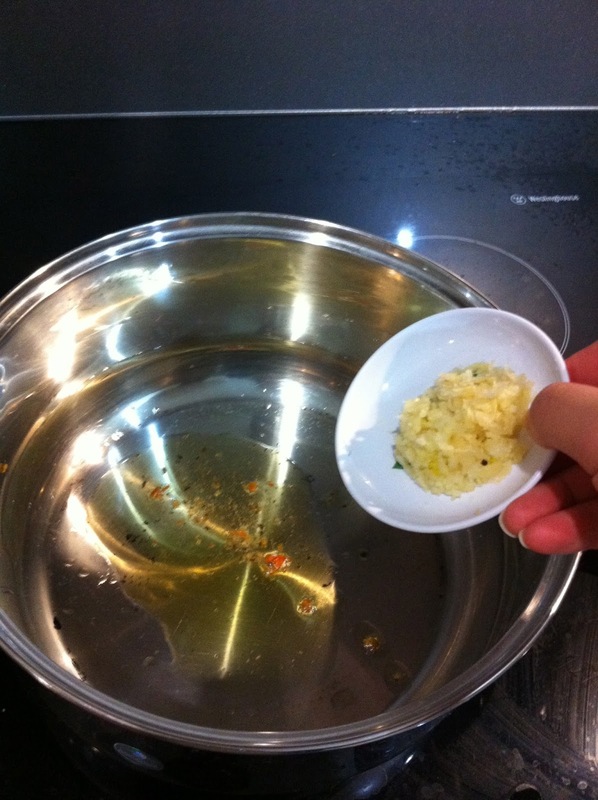 Reserve any oil from your sundried tomatoes to use later for extra flavour. 6. Remove the zucchinis from the pot after 10-15 minutes and drain them. Allow to cool for a few minutes before cutting them in half and scooping out the flesh. Line them up in an oven dish. 7. Time to get started on the filling! Add your reserved oil and a little olive oil if necessary into a deep pan on medium to high heat. Add and sautee your garlic. 8. 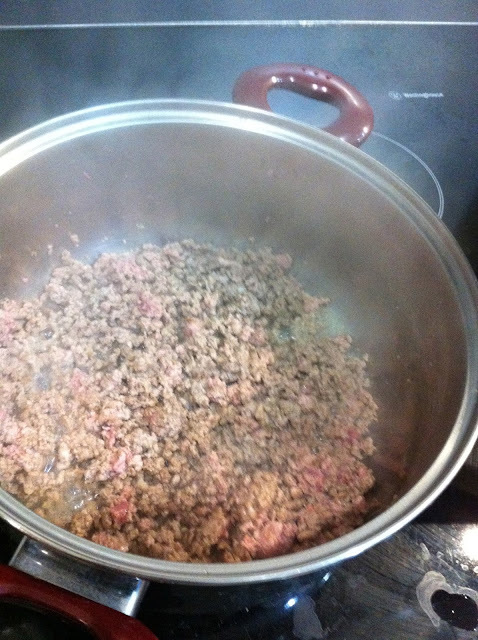 After the garlic is lightly golden, add in your beef mince and cook for 5-7 minutes. 9. Once it reaches this stage (above), add the sundried tomatoes and red peppers, and cook for about a minute for all the flavours to infuse. Then, add the tomato sauce and cook for a further 3-4 minutes until the mixture is hot. Season with salt and pepper according to taste and remove from the heat. 10. 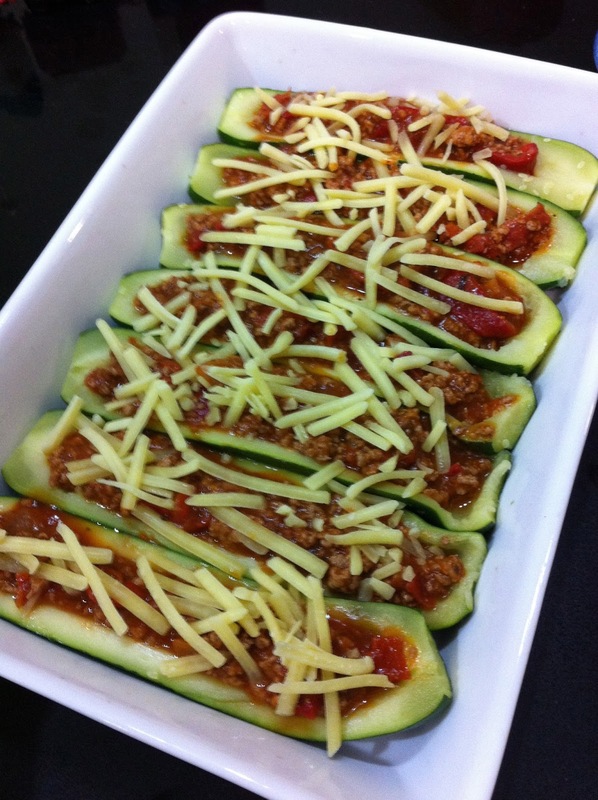 Divide and spoon the mixture into the prepared zucchini boats and top with some grated cheese. 11. Place them in the oven until the cheese has melted and has turned golden. And voila! Serve with sauteed veggies or a light pasta.